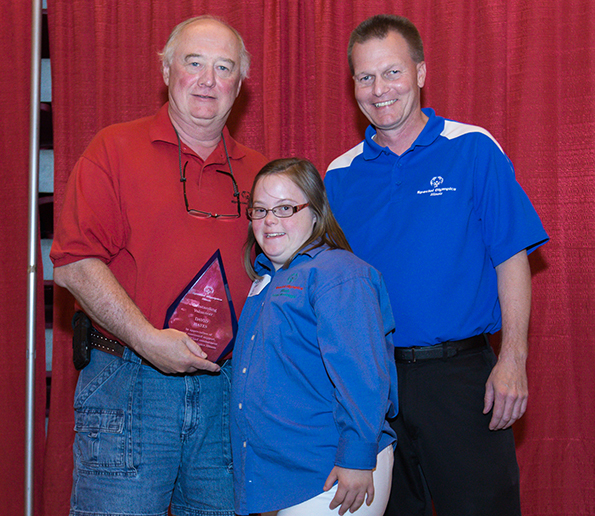 Dave Hayes of Seattle, Wash., and formerly of Bloomington, Normal and Springfield has been named 2013 Special Olympics Illinois Outstanding Volunteer of the Year. He was honored at a reception held on June 14 before the Special Olympics Illinois Summer Games Opening Ceremonies at Illinois State University in Normal. The Outstanding Volunteer Award recognizes an individual who through their voluntary efforts improve the quality of the Special Olympics Illinois Program to benefit all aspects of the organization. Hayes has been a longtime volunteer for Special Olympics Illinois and currently serves as Athletics Venue Director at Summer Games. A graduate of Trinity High School in Bloomington, he began his career with the local Laborers Council. Through their commitment to the organization, Hayes became involved as a volunteer in 1977. 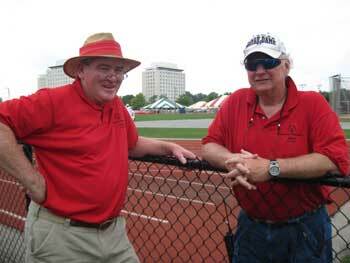 As of this year, Hayes will have volunteered at 36 consecutive Summer Games. During that time, he has moved from Bloomington-Normal to Springfield, to Omaha, Neb., and finally Seattle, Wash., and without fail has made the trek back to Central Illinois to give his time and efforts to the athletes of Special Olympics Illinois. He didn’t even miss Summer Games the year he was recovering from a heart attack. Not only is Hayes committed to the athletes’ success, but his wife, Lynn, and children, Brian and Megan, have spent time volunteering for the organization, truly making it a family affair.